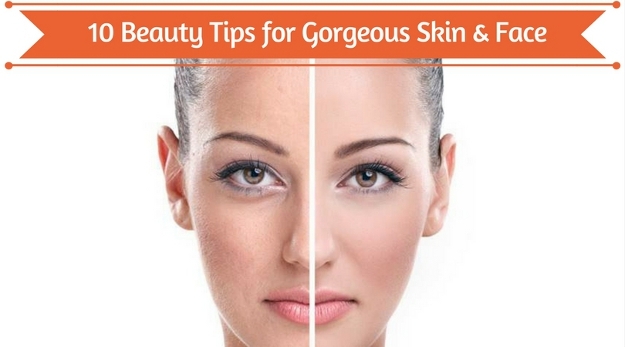 10 Beauty Tips for Gorgeous Skin & Face - GoodGuysBlog.com - New, Technology, Marketing, Health and So on. 2. Skin massaging: This tip helps in rejuvenating the dull, oily skin. The same can be treated using iced yoghurt with sugar in it. Applying scrub made of oats, honey, cold milk can help nourishing the skin. 3. Amla on Frizzy Hair: This is one of the highly effective natural tips for beautiful skin and hair. Make a home-made shampoo and leave it for 15 minutes to notice the difference that it will leave on your hair. 4. Smooth skin: Add a cup of sea salt to half cup olive oil and mix it well with 5 drops of sandalwood. Keep it in a jar and use the solution to scrub the body parts that wish to flaunt. Wipe the solution with a wet towel before going out. 5. Dark circles: Store chamomile tea bags in the freezer. Post this grate half cucumber and rub it around the eye. Keep the store bags on eyes for 10 minutes. 6. Instant face lift – Splash a handful of ice water to feel a stretch on the skin. 7. Egg White is another useful tip to have a growing young skin. 8. For tired eyes, make a solution using honey, ice water and water and use it in a dropper. 9. For best hair care, sprinkle talcum and amla powder and back comb the section before you give it a rinse. 10. Lastly, take 8 hours of sleep to remain energized and stay beautiful.